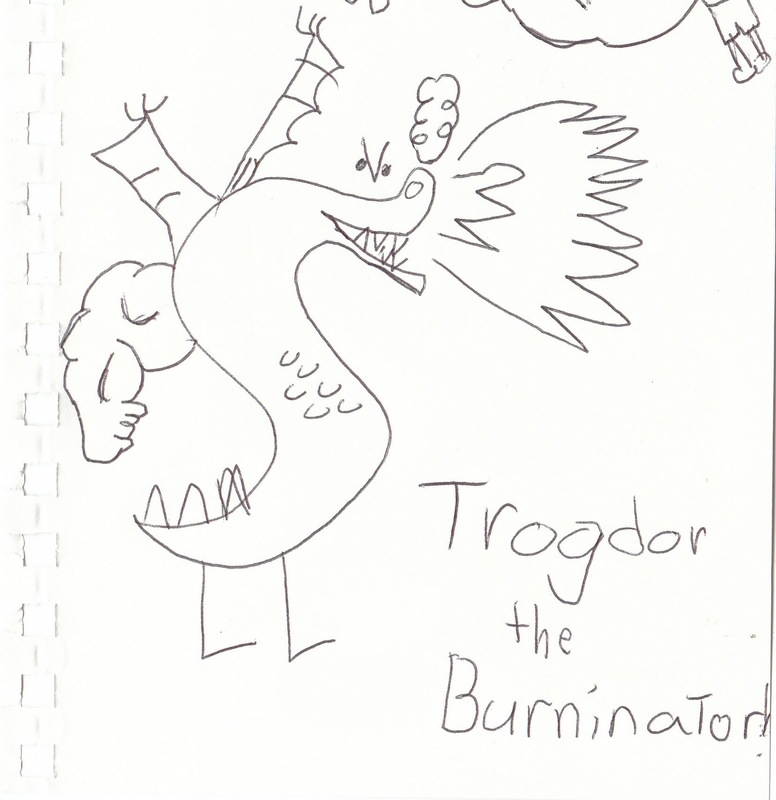 I'm not sure if you were ever a fan of Homestar Runner, but I was and still am. For about three years, all I ever did was reference Homestar in conversations and debates. Strong Bad taught be that most debates can be ended by catching your opponents on fire. 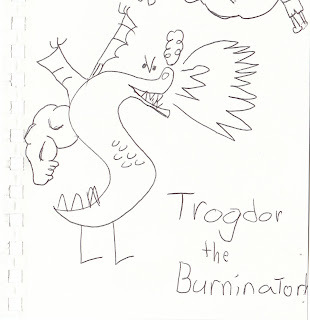 Recently, I showed Greg the Strongbad e-mail about Trogdor the Burninator. We watched it again tonight and he wanted to draw it. I think he did pretty good. Especially with the consummate Vs. Some people are flammable. Julie is.